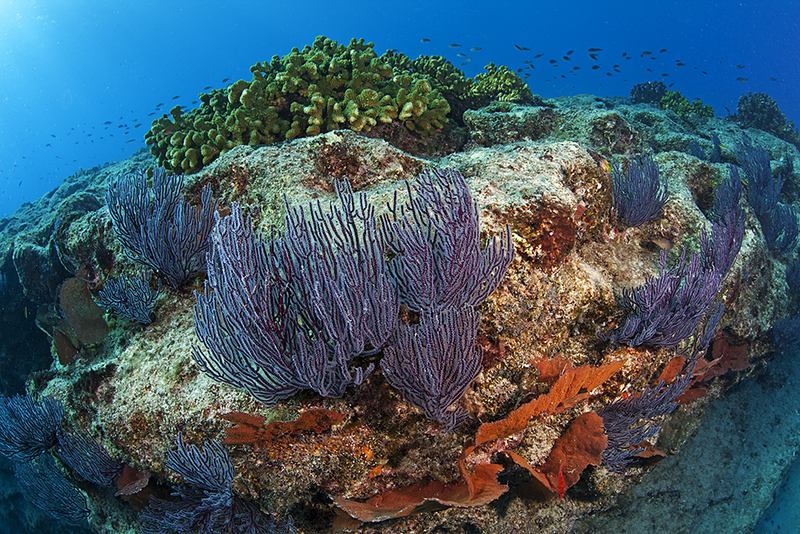 Coral reefs are one of the most biodiverse ecosystems on the planet. 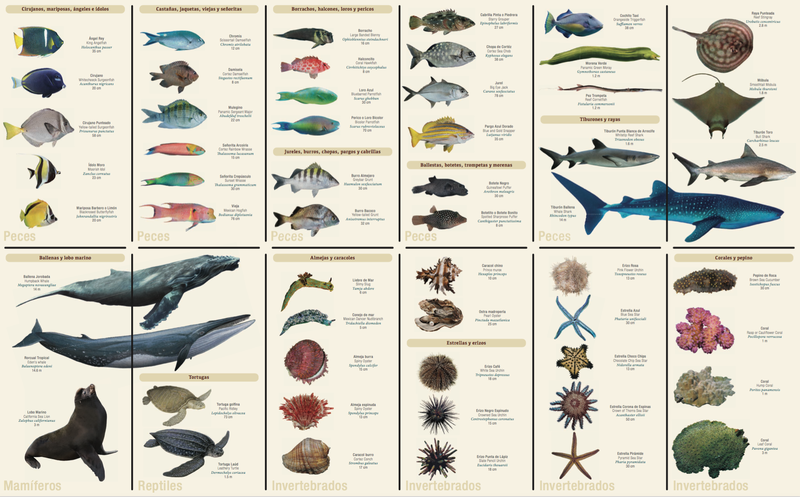 They take up less than 0.1% of the Earth’s surface and provide food and shelter to 25% of all marine species1. Corals act as a buffer for shoreline communities from storms, provide important sources for food, livelihood and even medicines. In fact, coral reef’s countless social, cultural and economic services have been valued at up to 172 billion U.S. dollars a year. Unfortunately today, half of all coral reefs in the world are depleted and one third of the world’s remaining coral reefs are threatened. This is due to over fishing and destructive fishing practices, increased pollution, changing ocean chemistry and the introduction of invasive species. These threats are also causing some marine species to go extinct before they are ever discovered. With an estimated 50 new species being discovered every day, and approximately 8 to 100 million unknown species living on earth, we (humans and animals alike) cannot afford to lose our coral reef ecosystems. Be conscious of your surroundings. Unintentionally standing or walking on coral reefs or dragging snorkel or SCUBA gear over them, can cause corals to break and die off. Even touching coral reefs with your hands can cause corals to die due to toxic oils from our fingers. If you are wearing fins, be careful not to kick up clouds of sediment from the sea floor, as it can cover the coral and prevent sunlight from reaching it, halting necessary photosynthesis processes. Using a floatation device as an aid to help you stay buoyant can also help you avoid accidentally touching and damaging corals. Plan your trip with a Certified Outfitter. If you plan on going snorkeling or SCUBA diving on a guided boat tour, be sure to look for a company that uses mooring buoys to keep the boat in place instead of anchors. Dropped anchors can cause a lot of damage to coral reefs. This also applies if you plan on taking your own boat or renting a boat to view coral reefs. Don’t disturb, damage or take wildlife. 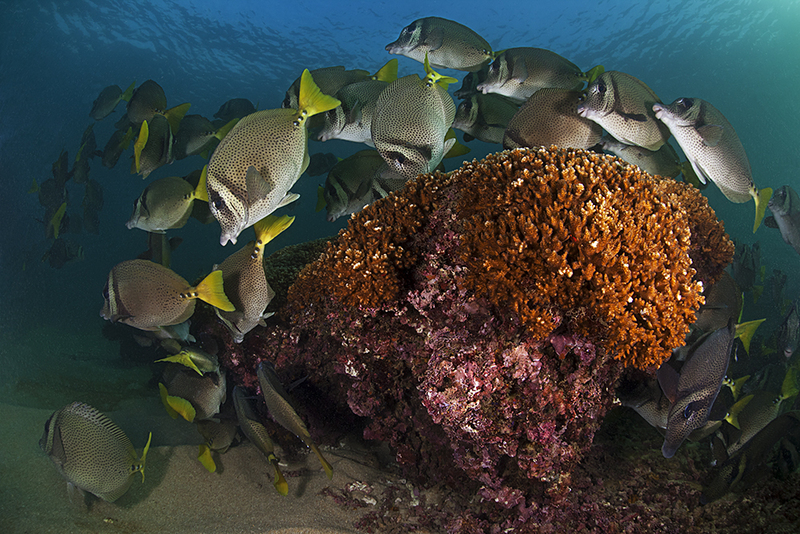 Fish are vital to maintaining the health of coral reefs, so be cautious of them as well. 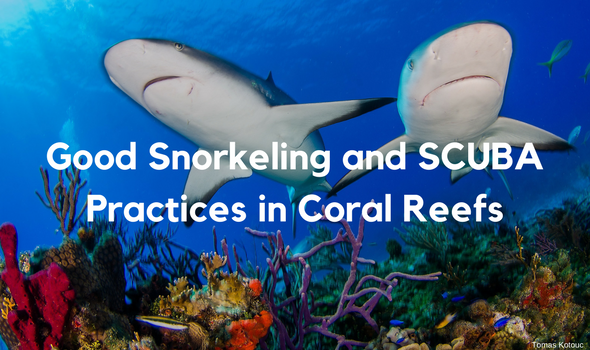 Avoid feeding or disturbing the animals that live amongst the reefs, as this can disrupt their natural behaviors and other biological functions necessary to preserve the coral. After all, fish are friends! Wear environmentally friendly or biodegradable sunscreen. Some sunscreens can have harmful ingredients that don’t break down, and can cause both corals and fish to die. Sunscreens comprised of oxybenzone have a particularly toxic effect on young corals. Fortunately there are plenty of coral-friendly sunscreens to choose from. Some brands of biodegradable sunscreen are: Solid Sun Logistics, Mexi-Tan, Caribbean Solutions, Nature’s Gate, Kiss My Face, Hawaiian Tropical biodegradable lotions and some Sun Bum products. Speak up! Lastly, if you’re snorkeling or SCUBA diving with a group or just a friend don’t be afraid to speak up! If you notice someone doing something potentially harmful to our coral reefs, it is definitely O.K. to speak up and inform the person about their dangerous impact and what they can do to help protect our coral reef ecosystems. 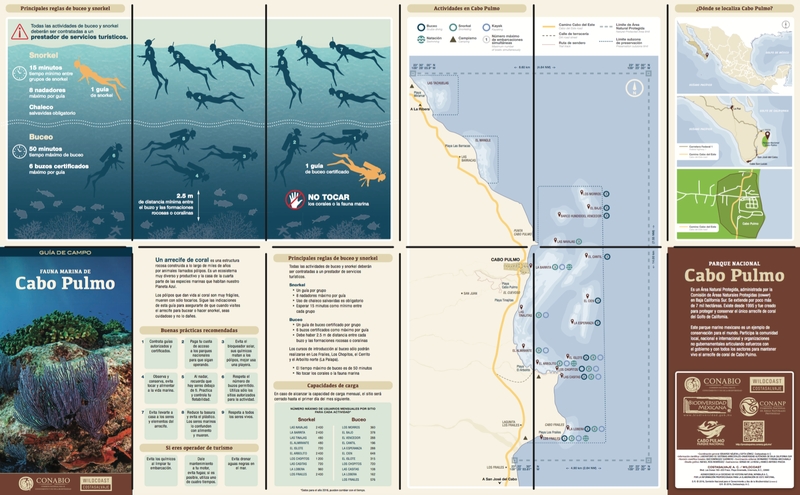 Check out the below video on more “best environmental practices” for divers.